The core charge for a rebuilt cyclinder head is $150.00 to $200.00 depending on your model. This core charge is refundable for up to 30 days for cylinder heads that can be rebuilt. If we do not have a rebuilt in stock to exchange, we will rebuild yours for the same price. All rebuilt parts are for exchange only. We test each unit after rebuilding and before shipping. All prices are subject to change without notice. 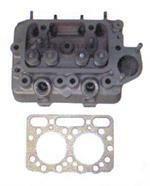 2 Cylinder Head Rebuilt with Head Gasket Please Call before ordering to setup core exchange. 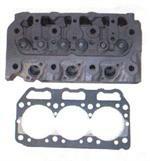 3 Cylinder Head Rebuilt with Head Gasket Please Call before ordering to setup core exchange.